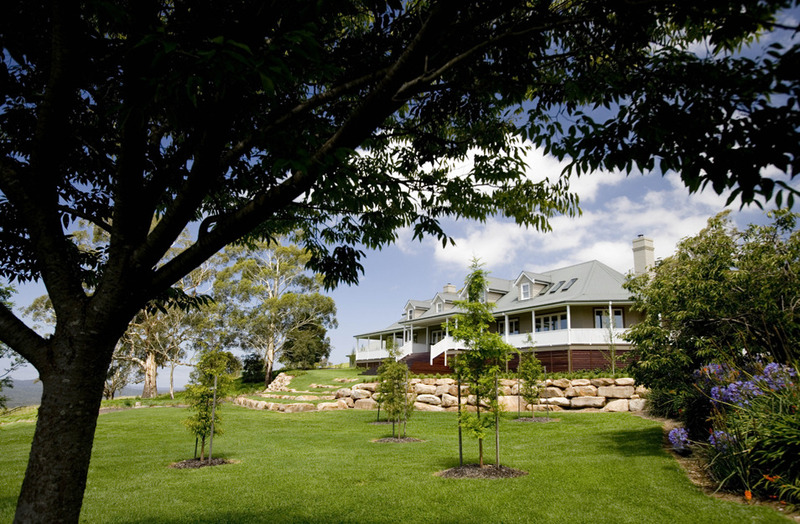 This Mittagong estate is a sprawling country home with a stunning countryside vista. We were engaged to renovate the existing 1980s house and create a warm, relaxed retreat for a large family. We were briefed to design a complete renovation which encompassed new kitchen, wet areas, bespoke joinery, staircase and clever space planning, and addressing the facades. Melissa Collison specified finishes, dramatic colour schemes and re-vamped some of the clients existing furniture, upholstering it in ethnic prints and corduroy. Statement colours, tribal rugs and artefacts were peppered throughout, adding a tongue- in-cheek twist to a classic farmhouse interior. This project has been featured in major Australian design publications including House & Garden.